In this audio teaching join Joseph Opare as he takes us into journey that explains in details the practice and principles of biblical fasting as a lost art along with its powerful benefits to mankind. Category: MP3. Tags: 1 day fast, 21 day fast, 3 day fast, 40 day fast, 7 day fast, christian, diet, exodus 34:28, fasting, immune system, isaiah 58, joel 2, matt 4:2, matt 9:14:17, one day fast, power, seven day fast, teaching, three day fast, weight loss. 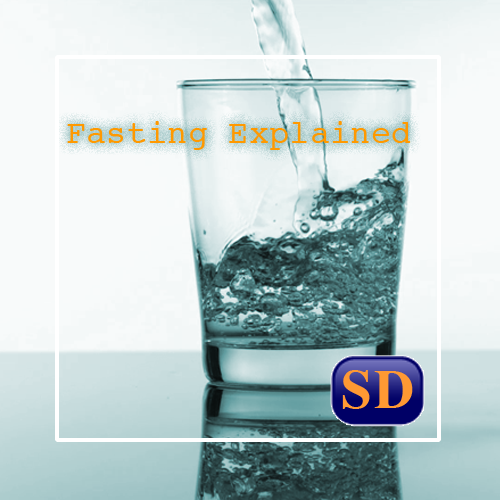 Fasting is an ancient practice associated with several religions. This makes it clear that the practice of fasting is not an isolated truth exclusive to the Judeo-Christian belief system, but rather an essential practice that boosts health. Apart from this fasting when coupled with Christian prayer becomes a powerful tool for changing the destiny of nations and individuals. This MP3 teaching also comes with a downloadable mock examination. This is delivered as a zip file, you will need a zip utility to unzip the files. In this three part series, Joseph Opare teaches some vital components to the subject matter of prayer that takes the Christian believer on a journey into powerful results. In this three part teaching series, Joseph Opare explains the motivational information in the much debated subjects of; Heaven Hell Eternal Life Get a clear understanding and communicate the good news with more clarity and power! In this four part teaching series Joseph Opare explains how to increase the frequency and power of God’s presence through worship to get astounding results.